Below are examples of the types of maps that can be found online through searches and by looking through map collections around the World. Also, some good starting points and "best" collections are included. This page is to provide access and also to stimulate creativity by showing interesting ways that maps show concepts and data. Red dots below are key sites, or notable sites. Maps Online: Searching For and Locating Good Maps. Instructional handout discusses the steps in searching for maps online (and in print). UB Libraries Map Collection. Start here for pages to assist in locating all sorts of maps and geographical materials. Geography & Map Resources. Contains selected geography and map resources freely available on the Internet and in the UB Libraries. Teaching With Maps. Map resources, and sites with geographical data, with emphasis on teaching and research..
United States Geological Survey (click for selected sub-agency breakdown). National Map of the United States. Provides public access to high-quality geospatial data and information from multiple partners. Hydrostructural Maps of the Death Valley Regional Flow System, Nevada and California. U.S. Geological Survey Miscellaneous Field Studies Map MF-2372. Where’s the San Andreas Fault? Government publications provide access to maps. Perry-Castañeda Library (Univ. of Texas). Large collection of online maps and resources. Start on this contents page. Current Interest Maps. When some place is in the news, this page provides maps related to the story. Historical Maps. Digitized historical maps, and links to world-wide historical map collections. National Map of the United States. Provides public access to high-quality geospatial data and information from multiple partners..
National Geographic Maps. National Geographic map and atlas site. View or purchase maps of places worldwide. Includes: Country Profiles, Conservation Maps, Atlas updates, and more. World Factbook (Central Intelligence Agency). Annual World Fact Book. Information and maps for independent states, dependencies, areas of special sovereignty, uninhabitable regions, and oceans. Includes maps, statistical data, alerts, and other current data..
William C. Wonders Map Collection (University of Alberta). Search digitized map database. Concentration on North American maps, but also has maps for all parts of the World. Good collections for: Western Canada, Northern Canada, Poland, Germany, France, and archival collections for Ukraine, British Isles, and Eastern Europe. Civil War Map Collections (Library of Congress American Memory). Jerusalem, Ancient Maps of. Sample: Jerusalem [map] by Nicolas, of Lyra, ca. 1270-1349. (Basel, 1498). Meteor Impact Craters. Select an impact site on the World map to locate satellite images and maps for that particular event. The Geology.com website also leads to maps and images of countries, geological maps of states, and more. Maps Showing Geology, Oil And Gas Fields And Geologic Provinces of Iran. La Maquette de Rome. Model of Rome as it was under Constantine in AD 320. Model is 180 x 180 cm, scale: 1:1,800. Very good detail allows you to take a virtual tour of ancient Rome. International Satellite Cloud Climatology Project (ISCCP). Has Cloud Data, Maps, And Plots. Gettysburg College Map Collection Search for maps then view/zoom in on map images. Sanborn Fire Insurance Maps. Sanborn maps were produced for use by insurance providers but their wealth of detail makes them an excellent source for historians, planners, genealogists, and others looking for historic data or for studying the growth and development towns and cities. Their scale is 1 inch = 50 feet. The Digital Sanborn collection (UB Libraries subscription), covers, New York State from about 1895-1940s. Note: Not all cities and towns are covered. Check the index when you begin a session to see if a specific town is listed. See also: Map Collections. Many university and other collections. Gazetteers Extensive list of most of the official or useful gazetteers on the web. Comprehensive gazetteer, an encyclopedia of geographical places and features. Includes database of names, descriptions, and characteristics of over 165,000 places in the world. Search by type of place, place name or word search. Visited Countries Custom Map. Prepare a custom map of all the countries or states you have visited. Surface Distance Between Two Points of Latitude and Longitude. Also has calculator for Great Circle measurements. FreeMapTools. A small variety of map tools for measuring and other functions. Geology.com map site. Maps and satellite images for World, Continents, Countries, etc. Click here for United States State Maps of each state. Many themes. Good for student papers, general maps. Select US Geology & Maps (left margin) to find a selection of maps for each state. Search Reference Maps for country maps and satellilte images. California Geographical Survey. "Exploring the world, one map at a time..." Includes: Electronic Map Library, Wall Map Closet, Mapping Resources. HIV Maps & Statistics map (HIV Vaccine Trials Unit. U of R). Worldwide. West Africa – Ebola outbreak – Situation update as of 28 March 2014 (ReliefWeb). EPR Outbreak News: Ebola virus disease, West Africa (UN WHO). Global Health Observatory Map Gallery (WHO). Worldwide maps. United States Census Geography (Bureau of the Census). Maps, GIS data, and other data relating to census. Global Health Observatory Map Gallery (World Health Organization). Statistical and other maps. Methamphetamine Addictions in the U.S. (National Institute on Drug Abuse (NIDA)). John Snow epidemiology maps (UCLA. Department of Epidemiology, School of Public Health). Site devoted to the life and times of Dr. John Snow (1813-1858), a legendary figure in the history of public health, epidemiology and anesthesiology. Maps of London before, during, and after Snow's work, especially on the 1854 Cholera epidemic. See the 1859 map. Malaria in Africa. From a Malaria Journal article. Mortality Maps for Texas (Texas Dept. of State Health Services). 1940 Standard Population 1970 Standard Population 2000 Standard Population. Poverty in the World. View maps, use GIS to visualize geospatial, poverty-related data, and the Atlas of Poverty. American Ethnic Geography: A Cultural Geography of the United States and Canada (Prof. Jon T. Kilpinen, Valparaiso University, geography course). Demographic maps showing U.S. (by county) for a variety of themes, including: Ethnic Groups, Culture Regions, Religion, Language, Politics, Socio-Economics. Humane Borders Water Station Maps And Warning Posters. Maps of the U.S.-Mexico border region, showing illegal immigration and water supply along the border. Death Penalty maps (Wikipedia Commons). This is an example of the types of maps available through the Wiki-world. Atlas of United States Mortality. (Centers for Disease Control and Prevention (CDC)). Example: Heart Disease map. Terrorist Attacks. World map showing locations. GEOFRED (Geographic Federal Reserve Economic Data, Economic Research from the Federal Reserve Bank of St. Louis). Vital statistics for U.S. Available data for a wide-variety of topics. TOXMAP (U.S. EPA). GIS of data for on-site toxic releases and hazardous waste sites from the EPA's Toxics Release Inventory (TRI) and the Superfund National Priorities List (NPL). Historical Atlas of the Twentieth Century. Maps, tables, and timelines on 20th century events. Includes a number of population and historical statistics themes, including: agricultural, infant mortality, life expectancy, literacy, telephones, systems of government, and others (population, war). Geography of Hate: Geotagged Hateful Tweets in the United States. Where Phillies Fans Live by ZIP Code. Using social media, map shows prevalence of fans by region. See: Map of Baseball Nation. Game of Thrones interactive map. Follow characters and plot developments. One million tweet map. Where are the tweets at this moment. Real-time map. TweetMap ALPHA - WorldMap (Harvard). Another tweet mapper. Map-D Tweet Map (MIT). View the World; see individual words as tweeted; see sample texts. Yelp Map. View a map of one of 14 cities by words that are being sent. The Pacific Gyres. The oceans filter a lot of waste material, however, many modern products cannot be broken down or absorbed. Materials such as plastics are not destroyed, but instead follow currents until they reach the various places where the currents circle, causing the materials to pile up. This is an environmental problem of massive proportions. The Pacific is featured here, but the Atlantic Ocean also has these regions. Trash vortex (Greenpeace International). Organization site describing the situation and what is needed to combat the piling garbage. Great Pacific Garbage Patch. Public organization that is raising awareness of the floating dump. Pacific Gyre is a website where science observes and studies this growing situation. Buoys drift with the currents, measuring and following garbage through its cycle. Great Pacific Garbage Patch (Wikipedia). Great Pacific Garbage Patch (How Stuff Works). Google News and Maps. This is a custom search in Google News for maps. It brings up current stories and related maps. Crimea, Russia, and Mapping. Article shows how Google Maps is depicting the Crimean Peninsula to Ukrainians. Global Smell Map. Visit the World's variety of smells. Scents and the City (NY Times). Maps are being created by everyone now. This is a map of Manhattan showing what smells where. Smell Map Could Lead to Digitized Odors (LiveScience). Sooner or later, this concept may become real. David Rumsey Collection. Large worldwide collection of mostly pre-20th century political maps. Broer Map Library. Over 600 (and growing) collection of historical maps (1875+). The collection is searchable and zoomable and offers high-res image files upon request. Mapping History Project (Univ. of Oreg.) Historical and cultural maps of North America, Europe, with images. Chinese View of the World. The Jingban tianwen quantu was produced in the 1780s or early 90s by a Chinese scholar named Ma Junliang, who received the prestigious jinshi civil service examination degree in 1761. He was well-known for his skill as a mapmaker. Historical Maps Online (University of Illinois at Urbana-Champaign Libraries). Electronic images of maps charting 400 years of historical development in Illinois and the Old Northwest Territory (Midwest). Provides a broad spectrum of content, from expert scholarship of mapmakers and mapmaking to general knowledge about cartography and history. Irish Historical Mapping Archive (Ordnance Survey. Ireland). Maps drawn between 1829-1913.
viewable online. The digitization process allows the user to see a whole map as well as offering detailed views of larger or smaller portions of the maps..
National Maritime Museum (Greenwich, Eng.). Contains maps, charts, and cartographic items, many featured on e-exhibit and other pages. U.S. Counties. Shows the evolution of counties in each state (example: New York). Population Change in New York. (Currently down. Manav Menon). Showing population changes, by decade, from 1900 on. Map visualizations using different techniques. The 1748 Map of Rome, by Giambattista Nolli is widely regarded by scholars as one of the most important historical documents of the city ever created. This project is a collaborative exploration of the exquisite Nolli engraving, through its historic significance and contemporary application. This section contains links to maps on history. Some are historical maps (rare, contemporary) while others were created to show specific historical events or periods. The following are an example showing one specific theme: Colonial Africa in maps. Map collections on different subjects/geographical regions can be located by searching online. Africa South of the Sahara (Stanford Univ. Africa Collection). Great site. For maps, use the "Search the Africa pages" link, and enter "map" as a search term, OR just click here. Colonial Africa map. Comparison of maps from different periods. 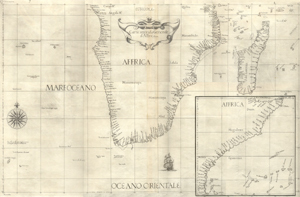 Historical Maps of Africa (UT Austin). American Museum maps of Africa. Africa Historical Maps (Univ. of Florida, Map & Imagery Library). Maps from 1500-1870s. Afriterra. Detail map sections of key regions. Ancient World Mapping Center has maps of the ancient world from various sources, and for a variety of locations. Mauryan Empire under Asoka. Shows the post-Alexandrian region of India. Maps in Our Lives. Exhibit by Library of Congress. One of many online editions with maps and drawings. GeoGratis (Natural Resources Canada). Select topo sections and zoom in or download images. Alaska State Maps (NetState). A variety of good, useful maps of the state. Also a small selection of US and other maps. Population, Land Use, and Emissions (PLUE) (SEDAC, the Socioeconomic Data and Applications Center, NASA). Environmental, population-related maps and data. Breeding Bird Atlas for New York State. Not only a wealth of bird distribution data, but can be used to create topo maps of small blocks of the state. Great Backyard Bird Count. Data collected by hundreds of observers for most species of birds shows presence of each species by count and visually using maps. Go to Maps. Migration of Birds (USGS). Online version of the atlas showing routes and species. Bird Migration and Navigation. Maps showing migration routes by bird type. Faunmap. Electronic database of late Quaternary distributions of mammal species in the U.S. Primarily to investigate the evolution of mammalian communities. Uses GIS to map changes in the distributions of individual species and their effects upon other mammals in the community using statistical techniques. Data is from paleontological and archaeological sites containing mammalian remains. Faunmap can be downloaded; it is also available in hardcopy or on disc. Global Cloud Cover Maps. Using data from the International Satellite Cloud Climatology Project, you can see cloud cover for each month, or an annual display. Railway Maps of European Countries. Official, commercial, and other RR maps. Tourism Offices Worldwide Directory. Find maps and materials from government, commercial tourism sites. Water Resources of the United States (USGS). Isopleth Maps (National Atmospheric Deposition Program/National Trends Network (NADP/NTN)). These display the spatial patterns of sulfate, nitrate, and ammonium concentrations in the National Trends Network (NTN) from 1985 to 2003 Flash and Powerpoint versions are available. Also maps showing annual precipitation. What's an isopleth map? Shake Maps of California. See maps of all seismic events in California. Market Maps Radius Map page. Commercial site but can be used for some free maps. Plot Circles on a Map (FCC). Government site. Tiger mapping GIS. you can enter coordinates for center and then radius. map is generated. Sometimes slow. Radius Around a Point Maps (FreeMapTools). Select a location, pick a center point, and define the radius to plot. LandVoyage allows for creation of a basic map, or professional quality exhibits, brochures, & general vicinity maps. It will find any land in the USA in under three minutes or search by location, county, zip, section or latitude or longitude. It views satellite, air photo, USGS topos & BLM maps. It can draw a boundary with a mouse or by legal description, measure acres, distances or get latitude longitude coordinates. It enables you to print, download & e-mail low cost maps. For full use of this database there is a $29.00 monthly fee. DeLorme. Producer of maps in print and electronic (with GPS-compatibility). Features: TopoUSA maps (CD/DVD editions); Street Atlas USA. Both run on PC and allow for customized maps and measurements that you can develop for yourself. Mapquest. Easy-to-read and print maps, directions and destination information to millions of online, voice and wireless users. Easy to take along on the road, MapQuest maps and driving directions can be printed, downloaded to a PDA, emailed or faxed. Useful for travel information, (restaurants, ATM's, entertainment and attractions). Aerial photos show a bird's eye view of surrounding areas. Maps.com. Geographix Maps.com claims to be “your one stop shop for maps.” Site attracts over 2,000,000 unique users per month and consistently ranks among the most visited travel websites. Omni Resources. Locate and purchase maps from a major source. TopoZone (now part of Trails.com). Interactive topo map of the entire United States. They also are a source for custom digital topographic data sets for Web, GIS, and CAD applications. They have every USGS 1:100,000, 1:63,360, 1:25,000 and 1:24,000 scale topographic map for the entire United States. Place name search to locate areas. Contains maps, a trail finder, guidebooks, topo maps for the United States and other countries. Can search by location and activity (hiking, biking skiing…) For full access to information there is a subscription fee of $2.50 per month. See also: Where Can I Buy Maps? FlightRadar24. Track aircraft World-wide; with details. Vessel Finder. Track vessels in real-time. Buzztracker. See the daily news on a map. World map shows news hotspots using density by location/city. Great visualization tool, and you can read the top stories from major news sources world-wide. Butterflies and Moths of North America. An example of maps used for organized sets of data, images, or statistical sets. Fall Foliage Map (Boston Globe). Beautiful animated, interactive map showing New England's hotspots for color. The map shows the advance of color changes through the season. Globe 4-D. Unique concept products showing maps in the usual 3 dimensions, but also adding the 4th dimension: Time. See the World as it changes through epochs. Nuclear Blast Maps of the City of Your Choice. A Google "hack" that allows you to plot the effects of a nuclear blast. choose a city or choose coordinates (-78.79, 43.00000), then size of the weapon. You will see a radius blast zone map, with data on blast ring densities. (From Map Room blog). Nuclear Blast Maps of the City of Your Choice [my title]. If you want to know how they calculate the blast effects visit: Nuclear Bomb Effects Computer. UIUC Map and Geography Library. Collection of geographic links from the UIUC Map and Geography Library. Includes: encyclopedias and Almanacs, aerial photographs, gazetteers, maps, Interactive maps, map libraries, map dealers, organizations etc. Citing Cartographic Materials. Links to examples from style manuals. Isopleth: a line drawn on a map through all points of equal value of some measurable quantity. In many meteorologic, oceanographic, or geologic studies some physical or chemical property is examined that varies from place to place on a map. Isopleths showing the quantity of the property being studied can be drawn on the map to highlight regional trends of high or low abundance of that property. For example, topographic maps showing contours of equal elevation are probably the most common type of isopleth maps. Relief "highs" (hills) are shown by concentric contour isopleths, and depressions such as volcanic craters are shown by concentric contours with hachures pointing toward the center of the depression. Isopleths are drawn on weather maps to indicate lines of equal air pressure (isobars) and equal temperature (isotherms). Isobaths are lines connecting points of equal depth in lakes and oceans. Isopach maps show distribution of thickness of a given rock unit. Gravity maps are drawn showing isogals (lines of equal gravitational acceleration). Variations in the strength of the earth's magnetic field are shown by isogams (after gamma, the common unit for measuring magnetic strength).--The Columbia Encyclopedia, Sixth Edition 2006. Symbol of Excellence, Genuineness, and Authenticity. Adinkra design adapted from West African Wisdom: Adinkra Symbols and Meanings (a wonderful site to visit).